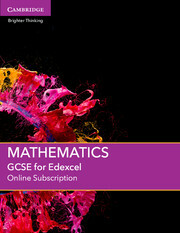 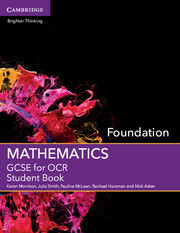 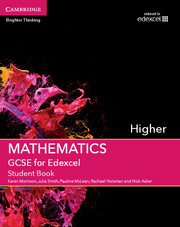 A brand new series of print and digital resources specifically developed and written for the new GCSE Mathematics curriculum for first teaching from 2015. 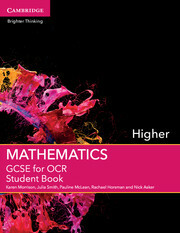 Covering both the Higher and Foundation tiers, these new resources include full coverage of the new GCSE specifications, supporting delivery of new GCSE content and assessment objectives. 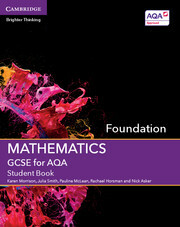 With a strong focus on the development of problem solving, reasoning and fluency skills, our resources will help students understand concepts, apply techniques, solve problems, and interpret and communicate mathematically. With progress at the heart, our resources provide the tools for assessment, differentiation and independent learning needed to help students reach their potential. 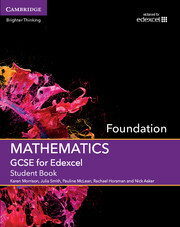 Digital editions include investigations, interactive widgets and walkthrough questions to explain and explore concepts and help students’ develop their confidence and enjoyment of mathematics.